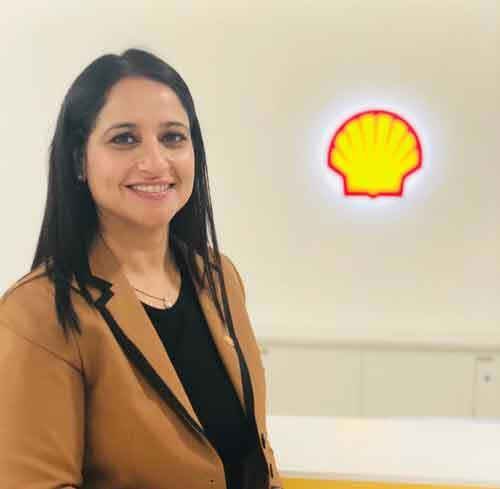 Mansi Madan Tripathy, Cluster General Manager, Shell India Markets Pvt. Ltd., and Troy Chapman, Executive Director – Lubricants Business, SouthEast Asia Oceania, Shell Eastern Petroleum (Pte) Ltd., tell Shashidhar V why India is a very interesting play in terms of what the consumer is getting, what is the value that they are driving in the industry and, at the end of the day, how they are incorporating it into the larger India growth story. How do you view the current lubricants market in the country, and in the Asia Pacific region? Mansi Madan Tripathy: As we look at the lubricants overall industry, it is about 2.6 billion litres for India, and growing at about a growth rate of 2.4 per cent. That makes it the third biggest lubricants market in the world, with the fastest growth rate. So, it makes India a very exciting place because if one were to draw a bubble chart to show just how big the Indian market is for lubricants and the growth rate, it will feature amongst the top chart of being very big, in the top five, and also growing at the highest rate. So, that is one aspect that characterises the Indian market. The second one that characterises the Indian market is the number of players and just how competitive it is. India potentially has more than 40 plus credible players in the market. And, if you include all the regional and the small players, this figure could up to 60. So, it is a highly competitive market, right from international oil companies with a lot of global backing, like Shell, right down to local, regional players. And, then, you have vast 54 per cent plus share which is with the national oil companies, which have their own dynamics. So, it is a very interesting play in terms of what the consumer is getting, what is the value that we are driving in the industry and, at the end of the day, how are we incorporating into the larger India growth story. The third aspect is the percentage of the market which is very value driven. If you were to look at a market like China, an average oil-to-value conversion would be one litre may be equal to about 80 cents. But, if you look at the Indian market, it is less than 50 cents. So, for the same amount of volume, the value in the country, primarily because of the regional players, etc., there is a high entry tier, a very low cost product which gets used in the market. So, then, as you think of customer needs, and as you think of the future and what needs to be done, it starts playing a very interesting play between volume and value. Where do you strike the right balance between growing your volume growth, which is very critical for scale and, at the same time, you don’t want to enter portfolios where you end up losing money. So, that is something which characterises the Indian market interestingly. Last, but not the least, is, even in this market, the amount of investment which is going in. If you think of the total marketing expenditure, that is somewhere to the tune of $120-$150-million a year. And, this is only on lubricants. Obviously, then, there is a lot of value chain expenditure which happens to the distributors, to mechanics, to the service engineers, and so on. So, it is a highly invested category as well. And, on the one hand, it is absolutely one of the critical industries for ‘Make in India’ and ‘Growth in India’, and also for creating jobs, creating a lot of revenues along the way. On the other hand, we need to always be very careful about the returns as manufacturers that we are getting. And, how do you look at the lubricants market in the Asia-Pacific region, especially in the construction segment? Troy Chapman: When you look at the global lubricants business, almost half of it now is in the Asia-Pacific region, especially in China, India, Indonesia, and a whole lot of other smaller markets that offer really exciting growth prospects as well. So, if I were to look at the market today, it is almost half the global lubes business. If I look into the future, if I take Asia-Pacific plus Russia and Mexico, it will be almost half of the growth over the next 5-10 years. So, the relevance of Asia-Pacific is without any doubts. It is already a major market. It is already the biggest region. But, the growth opportunities in Asia are really interesting, and not just because there is financial opportunity, but much beyond that. It is actually an opportunity to help fuel the growth of these countries, to help enable economic development, to help enable the infrastructure to be developed. You asked me specifically about some of the b2b sectors. It is not just about supplying lubricant products; it is actually trying to position these sectors in these key countries to help contribute more to the country’s growth and development. You say that close to 50 per cent of the global lubricants business is in the Asia-Pacific region. What are the growth drivers considering that both, politically and economically, the region is still volatile? Troy Chapman: For that matter, the rest of the world is volatile as well. So, one could argue the other way around. But, more specific to your question on the growth drivers, there is a huge population base. It is obvious. Beyond the population base, if I were to pick China as one example, and what they have done over the last several years with manufacturing growth, and now with services growth, and now with their desire to globalise, all of this is being fuelled by economic and manufacturing development, capability development. And, if you look into the future with the One-Belt-One-Road, there is a big vision for how China wants to play in the world. Similarly, the vision for India, with Smart Cities, Industry 4.0, and the other initiatives that the government has taken to propel the country forward, it is a great development story for India, but also reflective of the role they see playing in the world. So, it has always been a big base of people. But, the ambition, the level of vision and the role that they are playing is changing a lot. And, as it happens, it is attracting all kinds of investment, opportunities. Certainly, education is fuelling a lot of that from within the country as it relates to capability building. Today, these countries in the Asia-Pacific region are not mere manufacturing hubs, but are leading economic development around the world. And, India is very much a major player in this space. You spoke about competition, and the large number of players in the market. Domestic majors have garnered a major market share already. So, what does it take for a player like Shell to be successful in such a market? Mansi Madan Tripathy: I would put it in two to three broad areas. The first and most important piece that needs to be cracked is establishing your brand and trust. And, until such time that you haven’t achieved that, you have to differentiate versus others. You have to stand for technology. You have to stand for trust. And, in my opinion, that is the most important tenet in any market for that matter, even more in the Indian market. Secondly, it is important that you have a complete portfolio for your products. So, as I said, the market is very tiered, and you cannot choose to play just in parts of the market and ignore the rest. You need to play with a complete portfolio – high-end, top-end as well as types of industries, types of sectors. Thirdly, how deep and wide are you able to go? So, in the indirect segment, it is about how deep is your distribution strength, and in the b2b, how many customers and OEMs are you able to reach out to at the end of the day. So, the more and faster will ensure success along the way. So, in my opinion, those three, at a very high level, will be critical to crack in the Indian market. Your approach to b2b differs a lot from your approach to b2c. To what extent have you seen a growth in the b2b segment? And, what are some of the initiatives that you have taken towards this market segment? Mansi Madan Tripathy: I think b2c sees a consistently much higher growth rate because of the middle class increasingly buying automobiles. That gives a big boost to lubricant manufacturers, obviously. But, the awareness in terms of using the right lubricant, or opting for your lubricant over competitor’s, etc., is pretty low. Mansi Madan Tripathy: Yes. So the growth rate in the 2-wheeler category, if I am not mistaken, is somewhere around 6.0 per cent. And, it is somewhere around 4.0 per cent in the 4-wheeler segment. That is a high growth rate primarily because of the new automobile launches. When you think of b2b, it is highly sector specific. There are some sectors, like agri, or construction, mining, fleet, which are growing at a very handsome growth rate. However, there are other industry segments where potentially the growth rate is flat and the products that are being used are high value products. So, from a quantity viewpoint, you don’t need to because the machines are themselves better. The technology is much better. So, the ODIs of those machines are reducing and the quantity too which you need to use is getting reduced along the way. As a result, if you sum total it all, at a b2b level, the market is just about 1.0 per cent growth rate. And, I am not referring only to Shell here. I am talking about the total market here. So, you have to be very careful then about which sectors are you ensuring that you are playing and growing with the market growth rate and which sectors are declining, decreasing, and you need to ensure that you are right-sizing yourself on those sectors. After close to a century, Shell successfully completed the merger with the BG Group. How would that merger impact India? Mansi Madan Tripathy: The material impact on India specifically is not that dramatic. Most of the assets that BG came with were on the life stage where they were about to deconstruct here. So, apart from people and talent, which have come along with those based in India, there has not been much impact. There is a lot more synergy from people who have expertise in upstream area and we have been able to leverage some of that thinking. Troy Chapman: You may know that Shell is more of a gas company than an oil company. And, it is an interesting choice which is proving to be a very wise one as it relates to the performance of the whole company. We have taken that expertise, that experience, in gas and translated that into some really interesting lubricants technologies as well. So, if you have been following what we have been doing in Gas-to-Liquids, and commercialising that on a large scale...we are the first ones to do that, passenger cars, yes, now into heavy duty engine oil and now even into things like transformer oil, which has got some amazing properties when it comes to fuelling power generation. We see an opportunity to leverage some of those new technologies that we learnt through the gas technologies development into these key b2b sectors. Would I be right in saying that you are slow in bringing these technologies into the country? Mansi Madan Tripathy: I wouldn’t say that, because if I were to look at what specifically is available in the entire lubricants space for either the b2b as well as automotive sectors, we do have everything which is coming in. In fact, India has typically been a pilot for lot of the work and creation of the future. Take digital solutions, for instance. India has been a pilot, be it for lube analyst, etc. I was coming to that in a moment. How is Shell utilising digital technology for supply chain, etc? Troy Chapman: We see it as a huge opportunity to transform our business. So, when we looking into the future, and ask ourselves where does the lubricants business go for us in the next 10 years, digital plays a core role in that. Digital, in my opinion, opens up a lot of new avenues. If we were to look at it from an offerings point of view, what is it that we are going to offer our customers, it is no longer just about products. It is about services, about new business models, so many things that we can sell in the digital world that might help our customers run their business better to save more money, to get better equipment utilisation, etc. You mentioned Supply Chain. Well, we are digitizing our supply chain as well. And, it is not just about tools; it is also about data. And, I think, the way the world is moving ahead, the way it is progressing, five to ten years from now, it will no longer be about having digital tools to just extract data. That will become quite common. But, where the differentiation will come is how you use that data, how you can apply the data, how you can make good recommendations and good choices based on facts. And, that is the capability that Shell is really building up. And, India is one of the big pilot countries on this front. To give you an example, we have just revamped our Lube Analyst service. It is live now in South Africa. It has gone from a traditional oil analysis type service to one that is now fully digitized. And, the beauty of it is that we do more oil samples than anybody else in the industry, which means we have more information about customers, about equipment, about operating conditions, about things that may be predictive for failure, than anybody else in the industry. So, now, we are starting to use that data in a digitized way to make more pointed recommendations about products, about oil change intervals, about predictive maintenance opportunities, etc. With 40 plus players in the Indian industry, do you see a consolidation happening going ahead? Mansi Madan Tripathy: Ideally, that should have happened a couple of years back. My personal reflection on this issue is that, either because a lot of new players are coming globally, like Petronas, etc., who want to prove it in India, and since India is the third biggest market in the world for lubricants and growing at the highest rate, it brings in a lot of investment and also attention. On the other hand, the local players are either typically family-run or have a legacy to be maintained, and hence, they are not as keen to be consolidated at this stage. Will it stay this way for a lot period of time? I would say, no. But, we will have to wait and watch. According to a recent McKinsey report, major oil companies are much below the benchmark when it comes to talent development and talent acquisition. How is Shell addressing this in the Asia-Pacific region, and in India specifically? Mansi Madan Tripathy: I find this question rather strange because, at least in Shell, the core of where we want to begin is always talent. And, I say this because we honestly believe that our people are our biggest strength over and above everything else. It is not the products, but the people who convert the needs into the right products. It is the people who get the right technology. It is the people who actually do the services. It is the people who actually maintain the relationships. So, I feel that right talent is our biggest asset. And, once you realise that something is your biggest asset, then it is all about investment in that asset. And, let me tell you that at Shell, our attrition rates are less than five per cent which, by any industry standards, is very strong. And, India is going to be a talent heartland for Shell globally. So, we do see India to be a pipeline so that we are able to fuel the global opportunities and India talent being actually groomed for some of those opportunities. You conducted a survey recently. Would you throw light on the findings, and its impact on India? Troy Chapman: It is a global study, and obviously, it has a lot of relevance to India. It breaks down into a few big pieces. And, if I were to summarise the study, I would say the first point is that better lubrication, more focus on lubrication as a preventive maintenance is a huge opportunity that most customers, even globally, are not really taking. So, we know for a fact that most of the customers in the survey have experienced breakdowns that now we know are related to ineffective lubrication, probably in the range of 70 per cent of them agree on that. And, yet, about 76 per cent of them say that they still don’t feel like using lubrication as a priority when we think about preventive maintenance. And, so, these are areas that we know are on people’s minds. There is an area that they could be adding more value and yet, we have not fully tapped into that. So, we talk about concepts like Total Cost of Ownership. That is a nice phrase. But, if we were to dig deeper into what it really means, then we know that lubrication consulting can actually create value for your business. However you define what that value is for your business, be it in terms of improving the utilisation, or reducing costs, or improving energy efficiency, to even down to improving sustainability. We now know over the last five years, we can quantify about $150-million worth of savings globally. And, this is savings that our customers have testified to, and not something that we are making up. How does this recent survey differ from the earlier Total Cost of Ownership survey that Shell had conducted last year? Mansi Madan Tripathy: The survey last year was to really understand how many people are actually using lubricant supplier as a partner, what are their top needs, where are the pain points, how much of money gets spent on...cost of lubrication versus cost of maintenance or breakdown, and the total cost of ownership. So, it was really more to get the baseline. What this survey is trying to understand is more on the preventive aspect and trying to understand when you are sourcing and the dilemmas which OEMs are going through. And, if we can understand that, can we provide relevant solutions to them. So, it is really to understand what the extent of the dilemmas is, like the immediate cost of purchase which is a key KPI for a company, for instance. So, with this survey, we are trying to unearth how you bring in the friction on the table and, as a partner, if we can resolve it through data. Is this survey on a global scale, or specific to India? Troy Chapman: It is a global survey, but we find very consistent findings, specifically in the b2b domain. In b2c, the data for India and China, or the US varies quite a bit. But, in b2b, the data is very similar. Troy Chapman: It does. But, we thought so functionally about lubricants and lubricant suppliers in the past and it has gone down a straight procurement route that I guess, globally, we have been missing these opportunities to tap in to deeper chances to create value. And, even though the operating conditions might be different in different sectors, you still have the same kind of equipment doing a lot of same kind of jobs. And, so, the way people tend to think about them, the way they approach them, they are much more similar. Would the fact that most construction equipment manufacturers, or renewable energy equipment, are international players has anything to do with the similarity? Troy Chapman: Indeed. And, you are listening to the same advice from the same company. To what extent does price play a part in deciding for or against going in for a better lubrication? Mansi Madan Tripathy: On the face of it, it starts off as the most important variable, when you have the first conversations. But, once you have been able to unearth a customer’s pain points, which brand of lubricant they are currently using, what are their dissatisfactions, and then come with a holistic solution, and it doesn’t always has to be a product, it can be in services where we are finding a lot of success, or in the delivery promise, or the amount of time they want to spend on preventive maintenance versus post-maintenance, once you have put all of this together, then it can be layered up with what more you are able to provide. The commercial part of it continues, mind you. And, some of our conversations have gone way beyond just lubricants, like how we can be playing a much bigger role in the safety aspect of the company. Safety is in our company’s DNA. So, how can we help a company on this aspect. 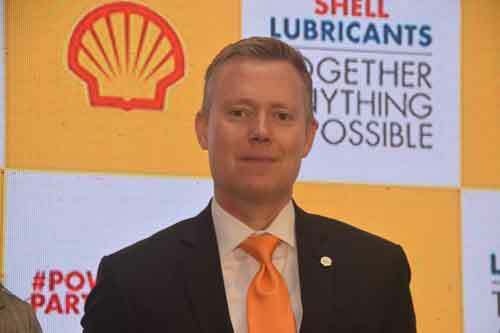 - Troy Chapman, Executive Director – Lubricants Business, SouthEast Asia Oceania, Shell Eastern Petroleum (Pte) Ltd.
- Mansi Madan Tripathy, Cluster General Manager, Shell India Markets Pvt. Ltd.